OMG. Who else is depressed that it is Monday? Show of hands. We will get through this together. Promise. People constantly ask me for the sources that I use when styling my own space and my client's spaces. Obviously, everything depends on budget. But no matter what budget I am working with, I always try to instill a high/low approach. I think it gives you a much more collected and eclectic feel. You know this girl doesn't do builder's show house matchy matchy aesthetics. Today I wanted to share with you some of my absolute favorite and most affordable decorating resources. Not only am I sharing the goods, I am sharing my favorite goods from the goods. Of course I have more resources than the ones listed below, but this is a good start for us and your spaces. Just remember. Keep it fun and keep it funky. Let's shop. Great round up!! I just ordered that Lulu and Georgia Rug! I love cheap and chic. and why is it Monday already??? I have been loving jcp recently for all kinds of things from lamps to towels to kids clothes to my clothes! These are great, but shut up with that JA couch. Really fantastic. Great collections. I am embarrassed to say that Lulu & Georgia is new to me. I am off to browse the site now. OMG. I need that leopard runner in my home asap. I already have SO MUCH animal print though...gah. Amazing round-up! Like all your round-ups!! 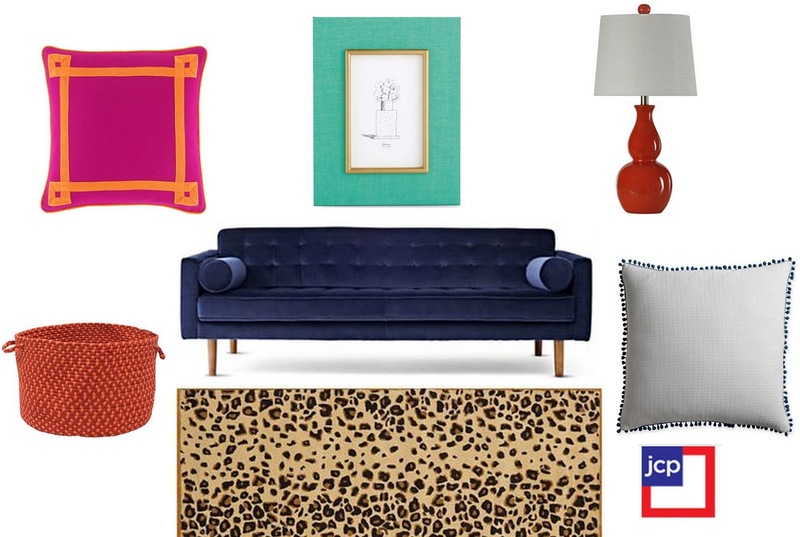 I'm in love with that JA couch from JCP...so beautiful!! I would never in a million years have guesses JC Penney for that great selection Lindsay. Thanks for the tip! Lovely round up. Didn't you about die when you say that blue couch. God I love you Jonathan! Seriously had no idea JCP home stuff was SO cute! OMG, this is fantastic!! And JCP?? Really? I am checking out all of their stuff right now!! Fabulous roundup! Zara home is my new favourite - such great stuff! JCP?! Seriously! That sofa is to-die-for!!!! Furniture at JCP? Wtf?! Haha I adore that sofa! Gus modern does a similar one called Spencer that is also available in sectional form which I dream of having. However I have to say I love the navy velvety fabric of The JCP one! You have blown my mind lol. Good ole JCP.... just when I thought they were becoming obsolete, they come out with a new marketing campaign and a jonathan adler line to boot! LOVES me some cheapy finds! Hold the phone, JCP has that stuff?? I'm shocked and love it! 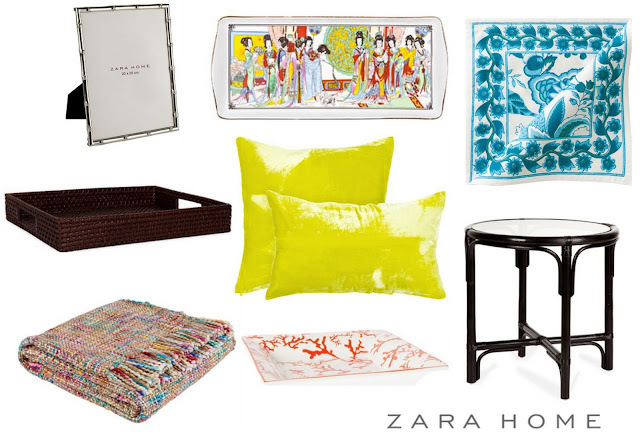 Zara home and C Wonder are two of my go-to's as well. Girl this is right up my alley! I still have yet to buy something from Zara home though! I need to get on that. JA doing JCP is so surprising. I am dying to see it in person. Fantastic post. Great design should be attainable for all! 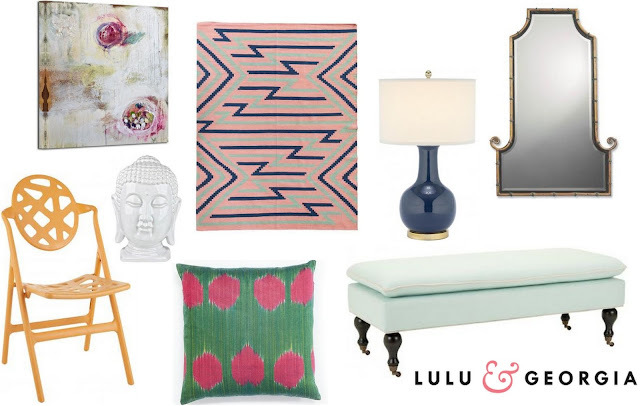 Such a great roundup of items...so happy to see a Lulu & Georgia rug in there! Wonderful things for home decorations! 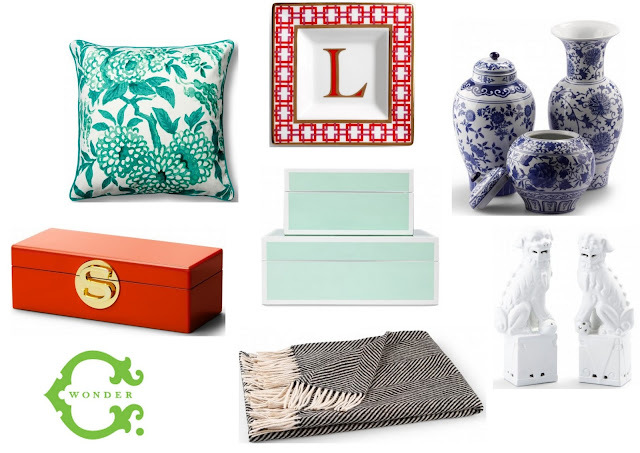 Those mint colored boxes are to die for! Absolutely love them. I love the mint bench/ottoman! I think I need it for our bedroom! And I am your newest follower! How come I hadn't gotten to your blog??! Glad I found it! Love them all! But a true blow of heart for the Jonathan Adler sofa!!! I want it! Love everything! Thank you for introducing me to these afforadable websites!! Love all the aforadable product. I just bought that zara bamboo frame and am loving it! great roundups! These are all fabulous. I wish I had all the money to buy these stuffs. Amazing collection! I love it.